Can Sony's pricey new 40-inch 3DTV compete at the high-end? 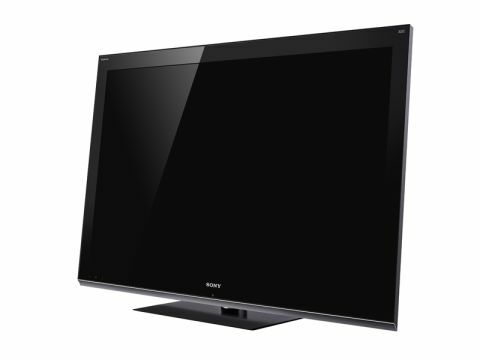 Sony's 3D capable, edge LED-backlit KDL-40LX903 is, at £2,000, a high-end set by any reckoning. The set carries some high expectations: the emitter that syncs with the supplied active shutter glasses is built in and you wont find a more engaging or higher quality 2D telly. The 40LX903 includes a Freeview HD tuner, which ought to be standard issue at this high-end level of the market, but there are some notable exceptions, so it's good to see it here. Of just as much interest, arguably, are the 40LX903's widgets for Sony's Bravia Internet Video platform. Supported by a Wi-Fi module built into the TV, this streaming suite includes the likes of BBC iPlayer, Facebook, YouTube and the debut of phase one of Sony's own 'Video on Demand powered by Qriocity' application. Dealing solely with movies for now, Qriocity will soon expand into a cross-platform content service for Sony's family of gadgets, with movies, music, games, comics and even ebooks available on the PSP, PS3, and Bravia TVs and Blu-ray players. For now, Lovefilm lurks alongside Qriocity on the 40LX903 – and its far larger catalogue of movies and £9.99 monthly fee appear much more attractive. Less exciting, but more important for core duties, is picture processing. MotionFlow 200Hz ought to reduce the amount of blur in fast-moving sequences, though its real worth will be for 3D; are LCD panels really quick enough, or will blur and crosstalk dominate? The GigaContrast feature should be self-explanatory, while an Intelligent Presence Sensor is styled as an eco-friendly slab of tech that senses ambient light levels and reduces the amount of energy being guzzled by the panel. Elsewhere in Sony's 'Signature' range is a 60-inch version, the brand's current flagship TV. Whether the 40LX903 can follow suit could depend upon its far smaller screen; for complete immersion in a 3D game or movie, size is a massive factor. On price, this TV's biggest competitor is the step-down KDL-40HX803, which sells for a startling £700 less – although you will have to live with a rather messy separate IR emitter for 3D duties.